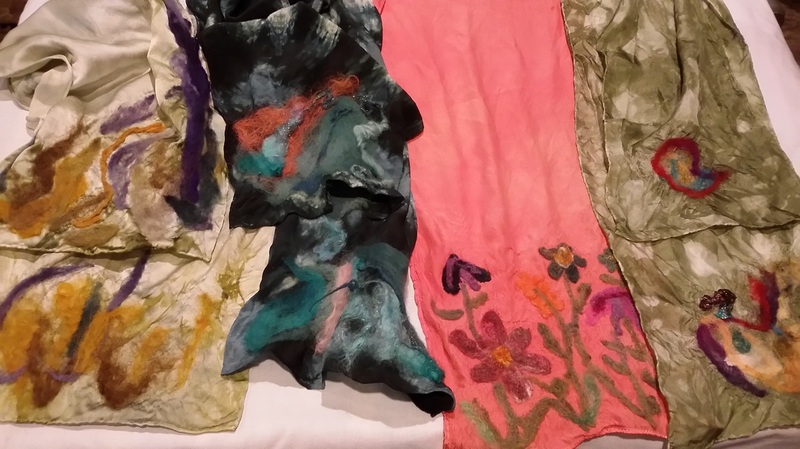 Students will select, in class, a pre-dyed silk scarf and roving to use for creating a needle felted design on the scarf. Needle felting techniques will be taught and the student will take home a lovely silk scarf to wear or give as a gift. You will be able to do needle felting at home, on your own, after taking this class! $10 non-refundable deposit to reserve a spot*.